Throw a line into North Carolina's surf, and you might pull in one of these. I didn't hear about this when it happened last week. It's a bit disconcerting to know it was caught on a surf rod, in the same surf everyone plays in at the beach. 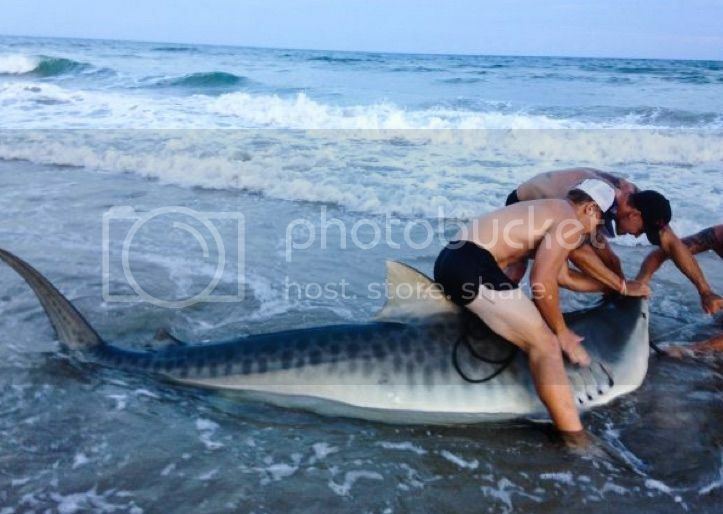 Yes, that's an 11'7" tiger shark weighing about 700 pounds. I want absolutely zero to do with sharks, period. I like fishing where I can enjoy a brew and a fine puro...and not have any chance of being bitten or killed.